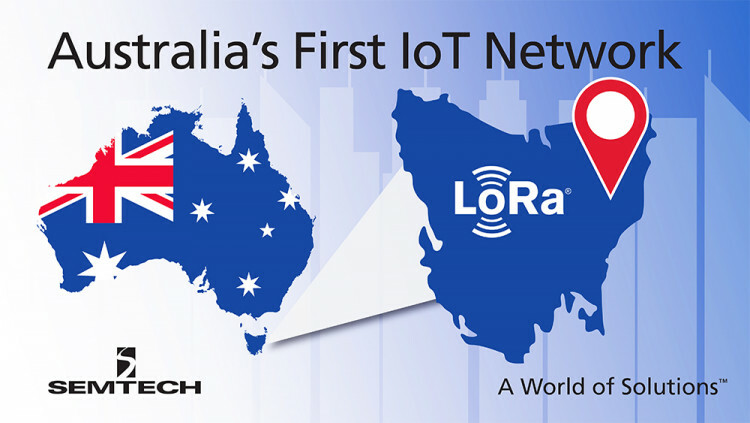 Semtech Corporation (Nasdaq:SMTC), a leading supplier of analog and mixed-signal semiconductors, today announced that its LoRa wireless platform is being used in Australia’s first Internet of Things (IoT) LPWAN network. The first deployment of the IoT LPWAN network is in Launceston, Tasmania, and is expected to enable a host of smart, innovative applications involving real-time transportation monitoring, inventory control, healthcare, and many other IoT applications. The Commonwealth Scientific and Industrial Research Organization (CSIRO) is the federal government agency for scientific research in Australia. With more than 5,000 experts based in 55 centres, extensive local and international networks, and a burning desire to get things done, they are Australia’s catalyst for innovation and a global force in transforming imagination into reality. Data61 is the result of a merger between National ICT Australia (NICTA) and CSIRO’s digital research unit, creating one of the largest digital research teams in the world and, outside of the Department of Defence, Australia’s leading capability in cyber security research. Data61 is Australia’s leading digital research network.